Marian and Robin’s carefree childhood in Sherwood Forest takes a dark turn when the arrival of a cruel new lord sets off a series of intrigues including robbery, kidnapping and murder. Marian watches in horror as the man strides, weapon in hand, toward where Robin lies helpless. But when Robin’s plan to exact vengeance goes awry, Marian must risk her own life to save him. A rash of robberies has been plaguing the great houses of Nottinghamshire. Knowing what she does about him, Marian is forced to ask herself whether Robin is capable of the crime spree or if his was just a one-off act of revenge. Marian’s attempts to uncover the truth lead her into the path of the handsome young Guy of Gisbane - and danger. 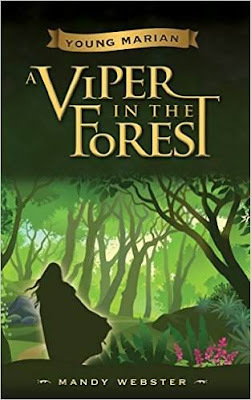 Kidnapped and hopelessly lost in the forest, Marian has only her wits to rely on if she and Robin hope to survive. This was a GREAT book! I really enjoyed all of the action packed in to it! I think that the author was trying to create a more action packed Robin Hood, which she aced! My favorite character is Robin because he would rather help the poor then spend time with his friends. He is a good person with a good heart. My favorite part is when Robin has to apologize to the other Lord. I recommend this book to those that like the story of Robin Hood and that like, good, generous people. I give this book 5 out of 5 stars and recommend it for ages 10 to 13. HELP US GET INTERNET SERVICE! !